© Steven Randazzo. All rights reserved. 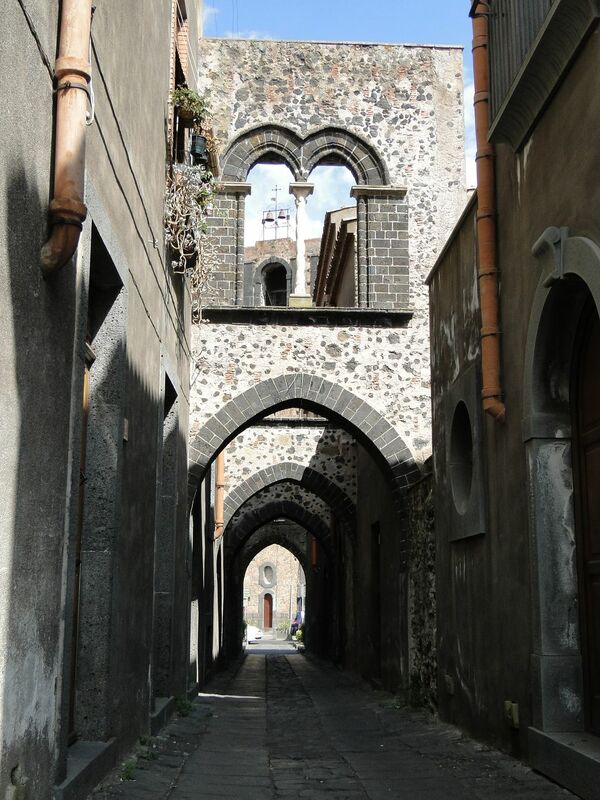 Bell tower of San Nicola Church as seen through the arches of Via Degli Archi, one of the oldest streets in center of the Sicilian town of Randazzo.